I had a skateboard, didn’t you? I was never great, but it got me from place to place, and it was cool. Maybe it was a beach thing, back in the day… But this series from Ashley Stohl isn’t just about skating. It’s a broader idea about community, about life and pushing your limits. Ashley’s graphic black and white images highlight those ideas. The images draw you in, throw you into the air anxious about where you might land. 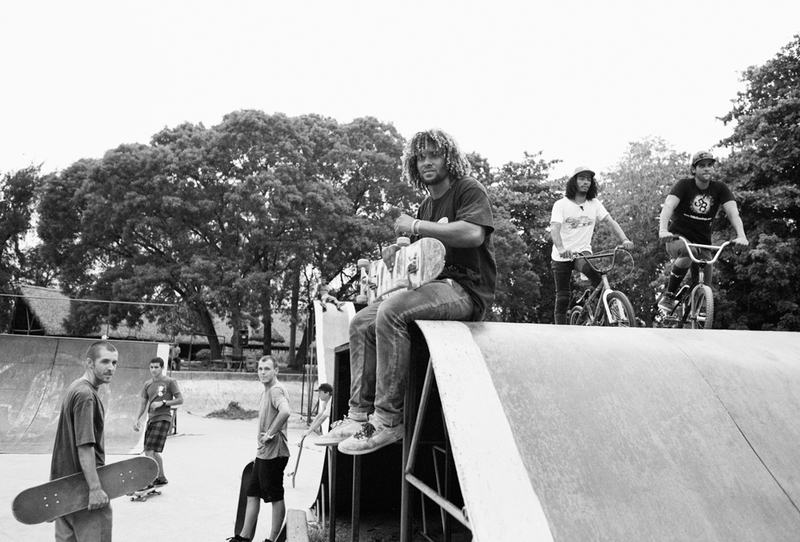 Two thousand miles southeast of the birthplace of skateboarding, in Havana, Cuba, I discovered a band of skateboarders not unlike the pioneering Venice crew I remember from my childhood. 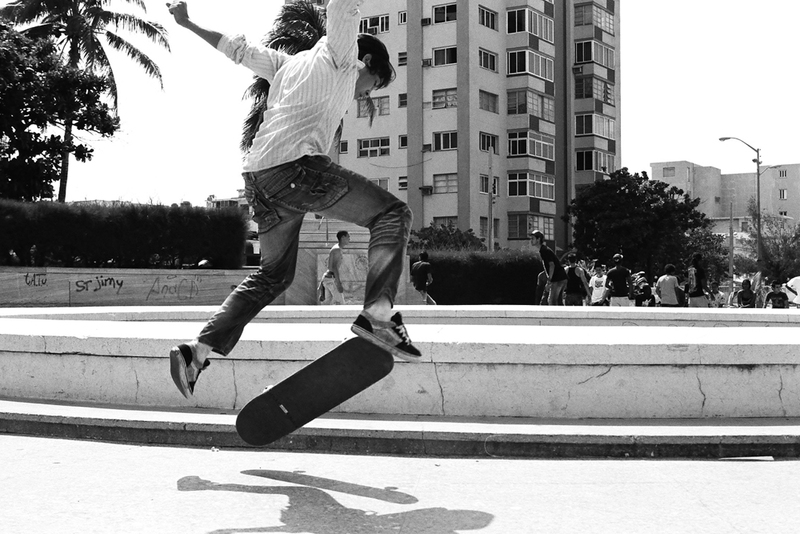 They have turned the entire city into their own skatepark; stairs, rails, and public monuments are all fair game. Empty fountains are swept out and skated in. 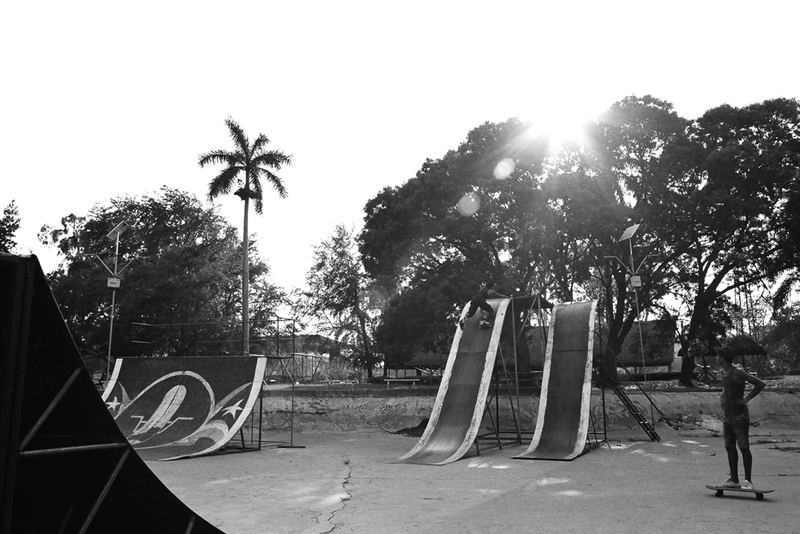 Young boys learn to ollie on broken concrete and dirt. Equipment is scarce, and broken boards are patched and nailed back together. Still, they skate with the same wild freedom of the guys back home. 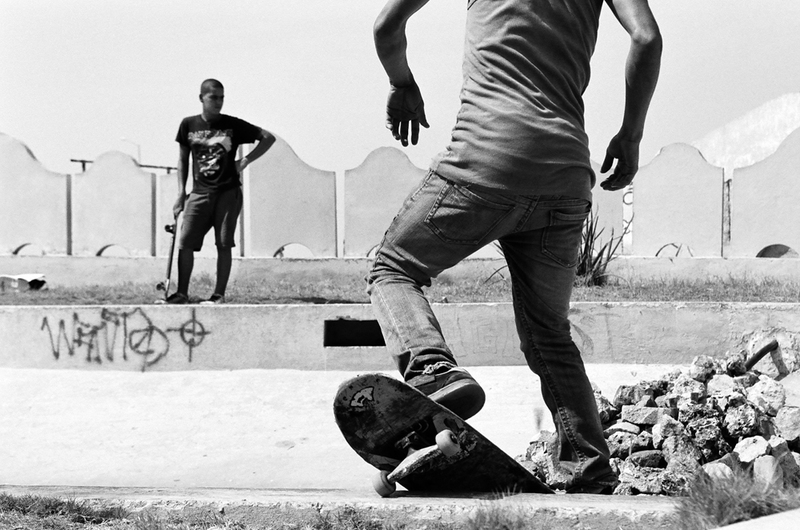 Patina o Muerte – Skate or Die –they say in Havana. They used to say that in Venice when I was young. It is a universal sentiment among the brotherhood of skaters. No matter their differences – when they skate, they all feel the same anticipation and fear, and the same pain when they hit the ground. They are boys who live for the hope that their next run will launch them so high that they will be free from the Earth’s gravitational pull and reach the stars. They need to skate to live. ¡Patina y viva! Ashly Stohl was born and raised in Los Angeles, California. She earned a Bachelor of Science at UC Santa Barbara, which led her to creating educational websites for JPL’s Mars Science Office. She is now raising a family in the very neighborhood where she grew up. Photography started for Ashly as a respite from the demands of motherhood. Her camera carries outside her own home, where she examines communities, and how they function as a family. Ashly has exhibited in many group shows across the country, and screened at GuatePhoto, in Guatemala. Additionally, she was awarded the Dealer’s Choice honorable mention at Center Awards in 2011. She is a founding member of Six Shooters. To see more of Ashley’s work please log onto her website.